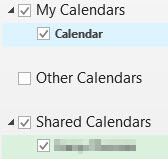 If you have more than one calendar in Outlook 2010, you can overlay them to see all events merged into one calendar. Step 1:Open Outlook and go to your Calendar. 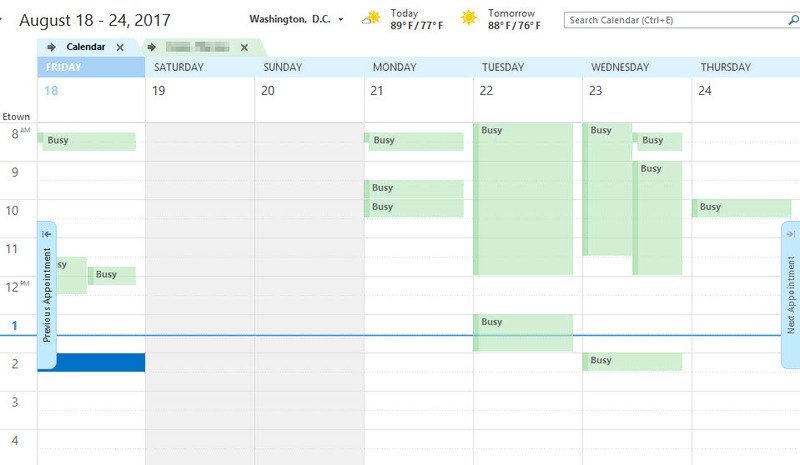 Step 2:Under My Calendars in the left pane, put a check next to each calendar that you wish to include in the overlay. Step 3:The calendars will be displayed side by side. Step 4:Click the left arrow next to the name of the calendar(s) you wish to include in the overlay. 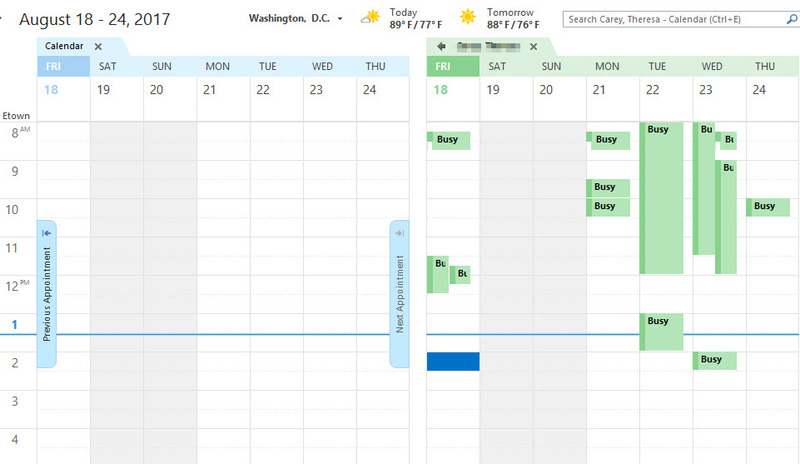 Step 5:All events will be shown on each calendar no matter which calendar tab you select. Step 6:Click the right arrow next to the name of the calendar(s) to display them side by side again.